American Sharia- Coming to a screen near you! Get set for an action packed comedy that’s a sure fire way to tickle your funny bone. 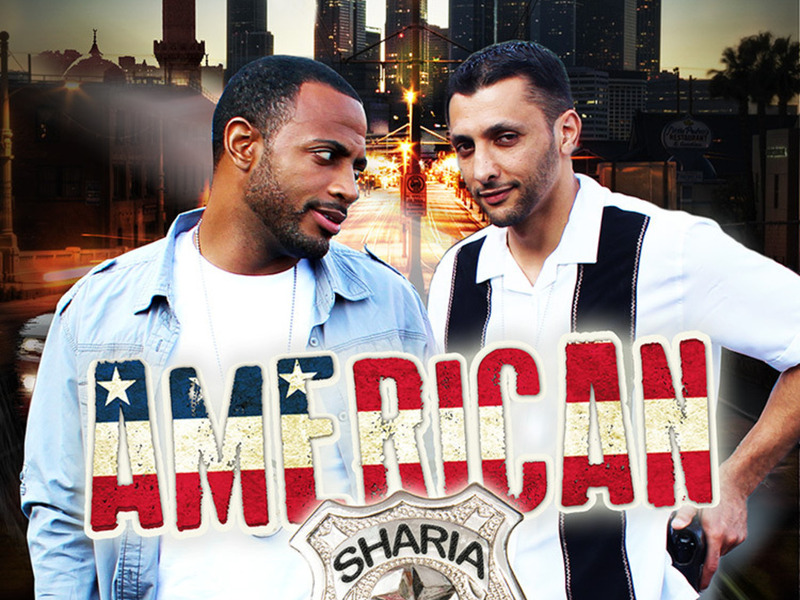 In the peak of Islamaphobia in the West, an inspiring tale has emerged of two police officers who challenge the assumptions of Islam in a light-hearted comedy, titled, American Sharia. The all-star Muslim cast includes Baba Ali, Yaz the Spaz, Adem Saleh and many more. Presented as an oxy-moron itself, the film is a decadent expression of stereotypes held by the non-Muslim and Muslim community. It explores real-life situations where Muslims are mistakenly seen to be ‘radicalised’ and uses comedy to defy such assumptions. In a first of its kind, American Sharia has raised the bar for the Muslim community and its opponents. The brain behind the concept is American comedian, Omar Regan. As part of his production company, Halalywood Entertainment, Regan has spent the last year perfecting the production of this film and with the aid of UK based charity, Penny Appeal; American Sharia will be touring 22 cities around the country at the end of February. In an exclusive interview with Omar Regan, Asian World had the opportunity to explore the emotional reasons behind creating this film. Omar speaks of his experiences getting into the acting industry and his advice for the Muslim youth who are growing up in an Islamaphobic world. It started in 1999, when I did my first audition and I was like ‘Oh my goodness, this is really what I want to do!’ So I left Detroit and moved to Hollywood. It was a very hard and an expensive move; I slept at Grand Central bus station for some nights, or sometimes there were friends in the same acting boat as me, so they would share their floor with me. It was tough, but the motivation of what we wanted, really kept us all going. It’s so hard, because Hollywood will take away your integrity. You can’t have any firm belief or stance on anything. I’m grateful that I had the strength to say no, because I really needed it. So I’m really happy this film has come through from me by sticking to my integrity and focusing on me as an individual and as a Muslim. You can’t get an opportunity in Hollywood, but now you can create your own. I had some life experience which really affected me. In 2009, the government killed my father. He was Muslim and they said he wanted to establish Sharia in America. They shot him 20 times! 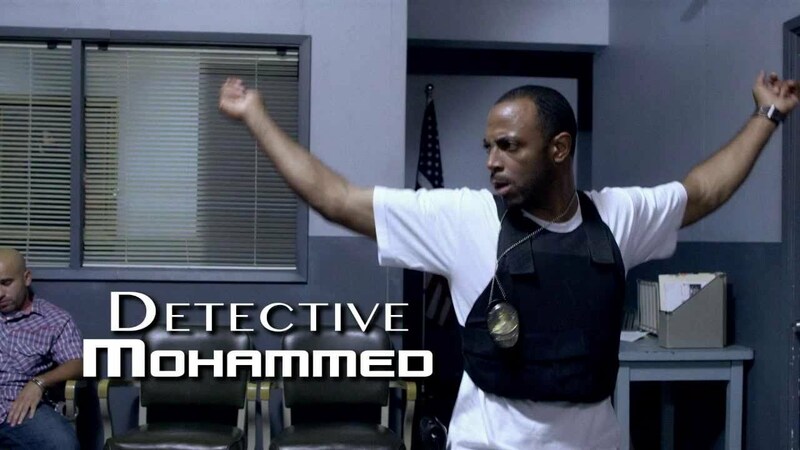 He was the victim of Islamaphobia. He’s gone and there was no way to defend himself. Later, they put a small clip on the news confirming he really wasn’t a terrorist. I didn’t want to make a hate film in response to that, but instead to re-educate the public. I want to focus on changing the mindset of people- so they don’t automatically look and judge. There are over 1 billion Muslims worldwide, so why is it that everyone is painted with the same brush? I’m very grateful for the talent. I have been blessed with a cast of very funny people. They saw what I wrote and then added to it with their personality and their ideas- to provide a film that has a message in it, but it’s also fun as well- with a limited amount of money. I’m really happy that everyone on the cast was excited to be a part of something they had never done before. 90% of this cast had never made a movie or even been on a movie set. I’m humbled by their support and they did a good job! The biggest opposition was from Muslims. It’s interesting to see Muslims today don’t really know Islam. The Prophet- who every Muslim wants to follow- never spoke from anger or frustration. He never spoke unless he had something positive to say. But we’re being called terrorists, because Muslims terrorise each other. That’s the problem with the world today; we’ve made it ok for them to call us terrorists on TV, because this is how we treat each other. I would tell them to read and study for themselves. You have to care about everybody and love everybody and I know it’s so hard sometimes when they call you a terrorist or whatever. But if you love everybody, that’s for your Lord. Love and respect his creation and that’s how you will learn who you truly are. Lose yourself in serving others and God will make a path for you. I do feel bad for the Muslim youth today because a lot of their parents have been programmed to teach their children that everything is haraam. No, Islam is warm and amazing. We all have something to contribute and something to learn from everyone, otherwise we wouldn’t be here. Mr Naeem continued: “The American Sharia campaign is actually part and parcel of a wider campaign we have going on, called Smile Relief. Everyone loves to laugh and we just wanted to capitalise on that. It’s a feel story in a time when there is a lot of stuff going on in the media. We are Muslims, we would not mock Islam. This is HALAL entertainment. This is the way to do it. If anything, given all these world events, now is the time to do it. To get tickets to a show near you, log on to www.pennyappeal.org.